Fill in the fields now to get a issue of Country Living Magazine and be automatically entered for your chance to win $100,000.00. Go for it! Nabisco is giving one lucky winner $5,000.00 cash! Five other prizes of $1,000.00 cash will be given out also. Just by filling out the info. Then, remember you can log in every day for more chances to win. 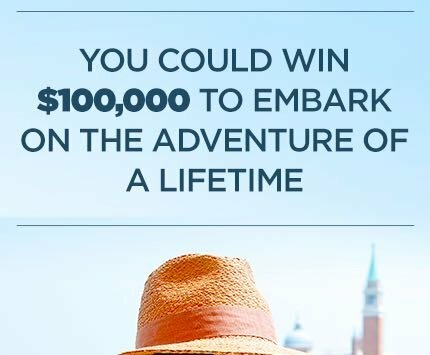 Win a $10,000.00 cash from Travel Channel. Submit your entry today and qualify for this today.